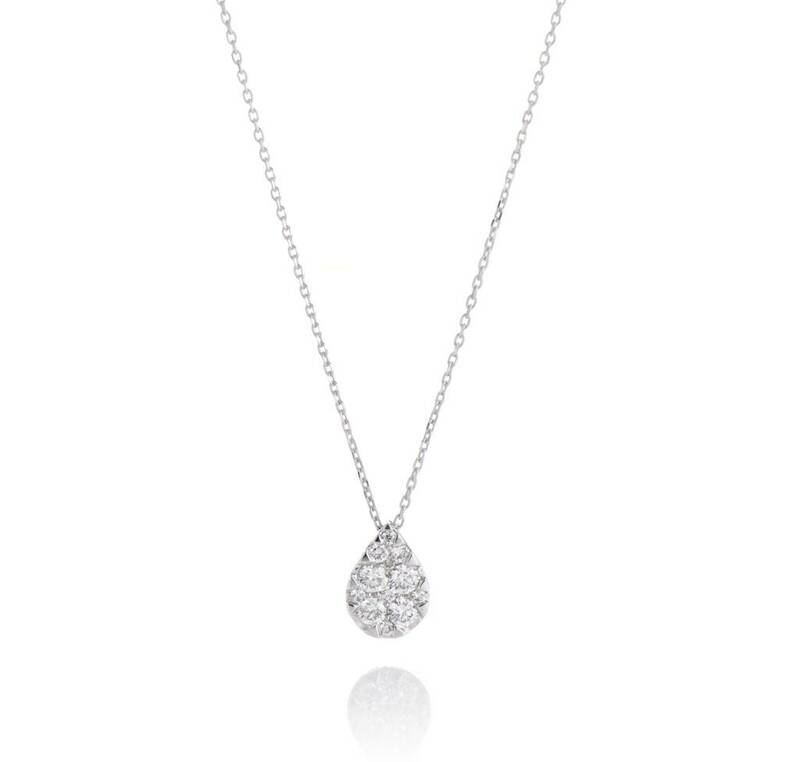 Ladies pear shaped diamond cluster pendant of classic styling crafted in 18k white gold. 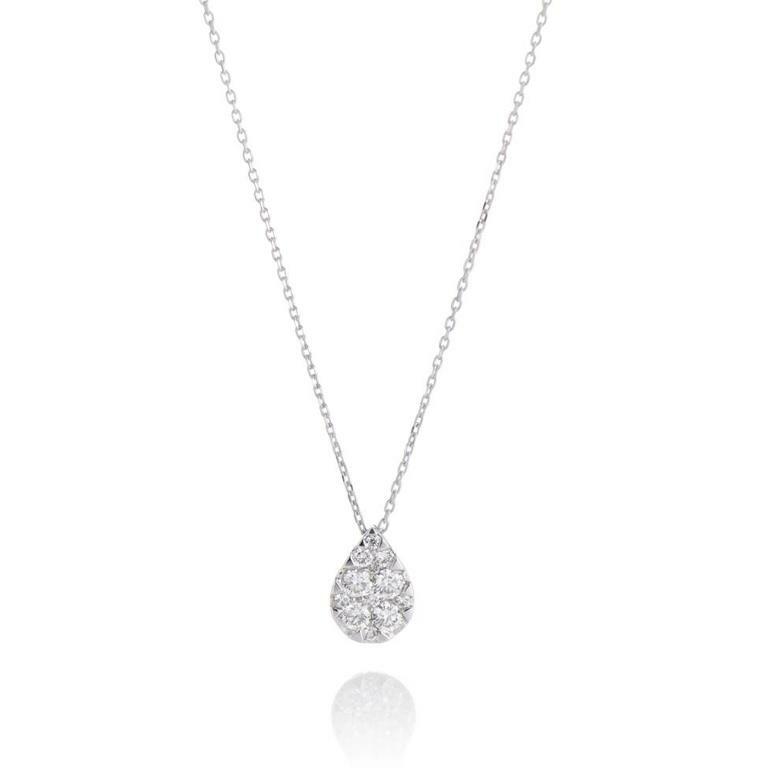 The pendant is set with round brilliant cut diamonds that are micro pave set into a pear shape. It is suspended on a 18k white gold rolo link necklace.